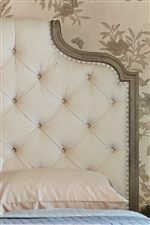 Delicate shaping gives this mirror a romantic feel on an otherwise simple frame. 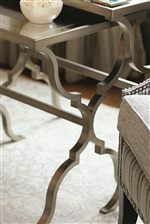 The Gray Cashmere finish ensures versatility, while the non-beveled glass adds a brilliant shine. 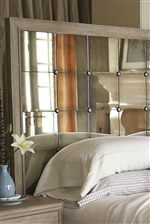 The Marquesa Mirror with Shaped Frame by Bernhardt at Malouf Furniture Co. in the Foley, Mobile, Fairhope, Daphne, and Gulf Shores, AL area. Product availability may vary. Contact us for the most current availability on this product. 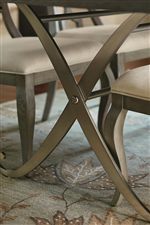 The Marquesa collection is a great option if you are looking for Transitional furniture in the Foley, Mobile, Fairhope, Daphne, and Gulf Shores, AL area. 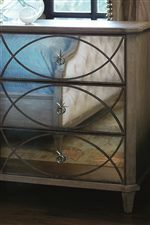 Browse other items in the Marquesa collection from Malouf Furniture Co. in the Foley, Mobile, Fairhope, Daphne, and Gulf Shores, AL area.